Medal winning top scoring large bloom in ADS Seedling Evaluation 2012. Towering plants, huge stems, great bloom substance and endurance. Fun to show in large vases with 2'-3' stems. 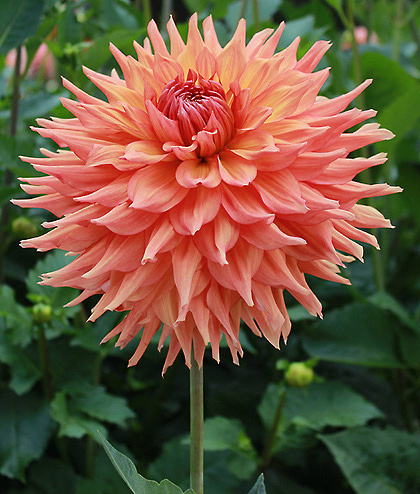 This is a giant that is also a great cut flower producer.